Chipotle Peppers in Adobo Sauce are jalapeño chilies that have been dried, smoked and then packed in a flavorful sauce made of tangy tomatoes and spices. 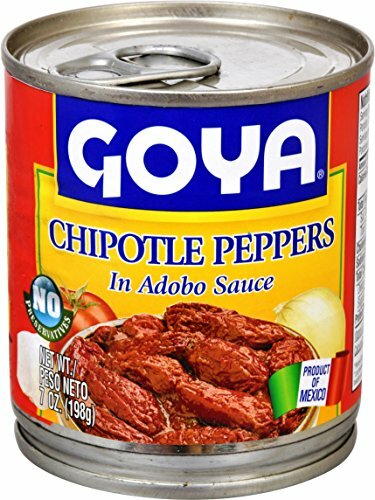 Used as an ingredient to add smoky flavor and heat to everything from seafood to soups, sauces, marinades, burgers and barbecue, GOYA Chipotle Peppers in Adobo Sauce will add a kick to any recipe! Sizes: 7 oz., 12 oz. If it's Goya... it has to be good!